I love adding texture to walls. It creates interest in a room and can make it more cozy. Even the simplest wall treatment can have a big impact. From techniques as easy as paint to as complicated as a planned out panels, creating an inviting space begins with the walls. 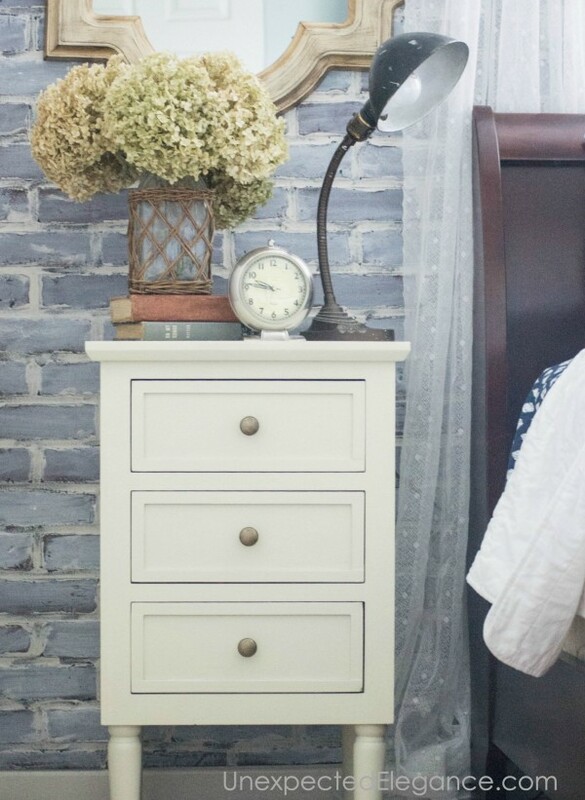 Stencils are very inexpensive and are a great way to add dimension to a wall. I like to use a monochromatic color scheme for just a slight differentiation. In my master bedroom in did all four walls with a circular pattern in two shades of dark gray. I kept the furniture light and I love the results. 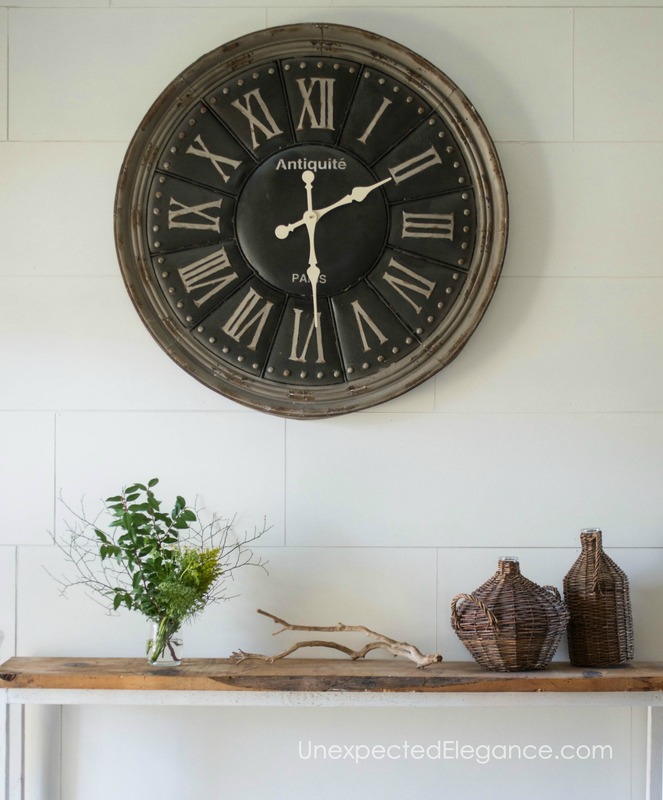 I’m using the word “planks” to describe this type of treatment because it encompasses a wide range of materials, from shiplap to tongue and groove. 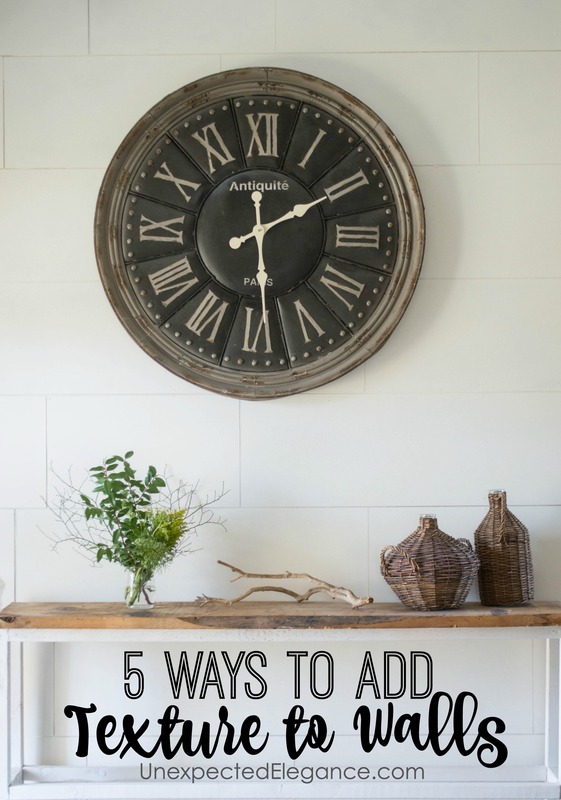 A few examples that I’ve used in my home are the faux shiplap planks in my entry and the skinnier tongue and groove boards I have in my living room and master bathroom. I am a sucker for older homes. A lot of old houses have brick behind plastered walls and when renovated they leave the exposed brick. However, if you don’t live in an old house with brick, you can create the look without hiring a mason! 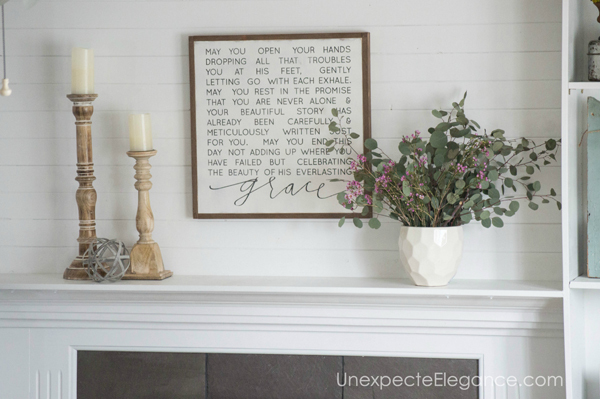 Check out THIS tutorial for an easy way to add this type of treatment to your walls. TIP: Use this only an outside wall, to help it appear more authentic. 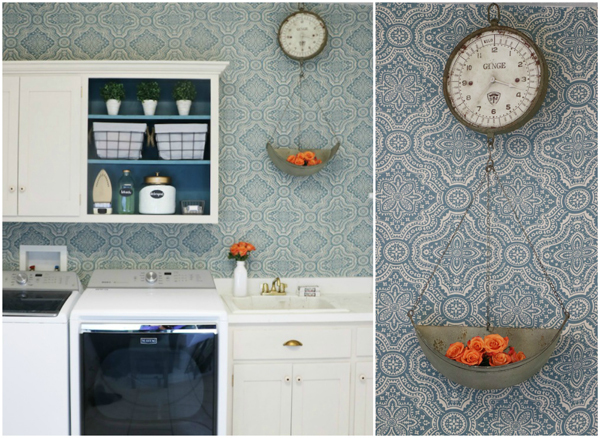 Wallpaper got a bad rap for a long a time, but it’s making a come-back! BUT if you aren’t ready to completely commit to permanent wall paper, you might want to try starched fabric. 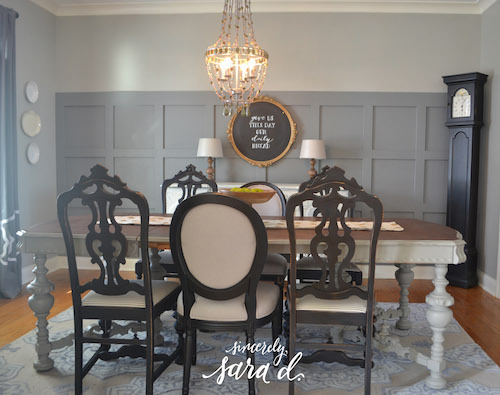 Check out sincerely, sara d.’s fabric walls…aren’t they beautiful? To see Sara’s laundry makeover click HERE and for a full video tutorial click HERE. I love board & batten! It is such an elegant touch to any home. It is a little more expensive and time consuming than some of the other options, but it will definitely help with resale value if you do a good job! You can find Sara’s tutorial HERE. 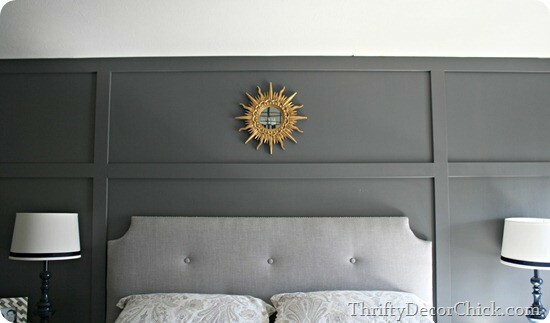 HERE is another tutorial from the Thrifty Decor Chick. 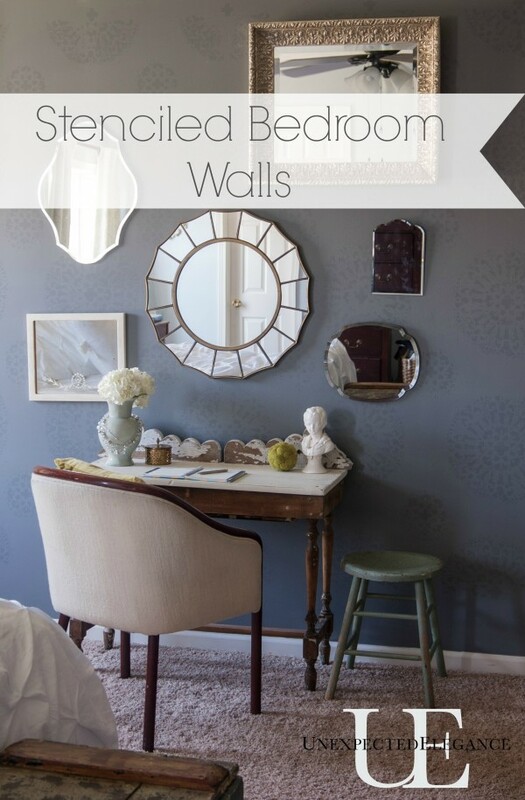 Do you have a wall treatment that you’d like to add to my list?? Leave a comment below to share!